There are so many other available options for both men and women especially designed according to their needs. The formula of Head & Shoulders shampoo is especially designed to target the customers with dandruff, dry and damaged hair in all age groups. The Head & Shoulders shampoo intensive solutions available are formulated to treat, itching, flaking, irritation, dryness and redness caused by dandruff with medicated formula that also helps to protect hair against damage. It removes dandruff and prevents further flaking. Its formula provides better scalp protection and coverage to get rid of dandruff flakes up to 100%. It gives you soft beautiful and dandruff free hair with the use of just one product. It is no.1 anti-dandruff shampoo that is recommended by most of the dermatologists. With its regular use you can have healthy scalp and flake free hair. The rich formula is gentle enough for daily use even on the colored hair. Head & Shoulders treated hair remains soft and manageable as it deeply cleanses, moisturizes and nourishes scalp and hair both. It is available for different hair types and textures and these work best for frizzy, damaged and limpy hair. This product gives the best solution for the people who suffer from dandruff, irritable scalp and itching. Making dandruff and its symptoms a history from life is easy with the use of Head & Shoulders shampoo range and conditioners. 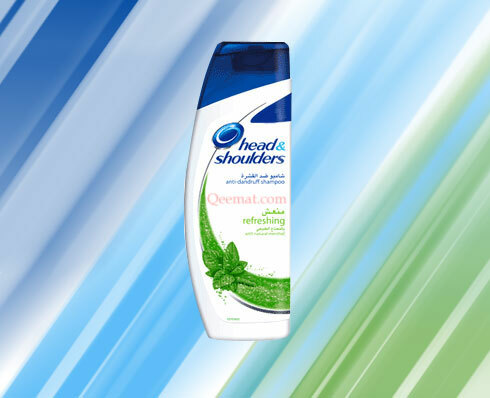 The Head & Shoulder formulas are clinically proven to get maximum protection right from the first wash. The ingredients used in these shampoos give refreshing effect for hair and soothes the scalp. These ingredients can be mint extracts, hydra-zinc, eucalyptus, sea mineral essence, citrus, old spice for men, green apple, almond oil etc. All these fragrances will leave your bathing experience with exhilarating sensation. The price for the amazing product will be from Rs. 90 to Rs. 290 according to the size of the container bottles.